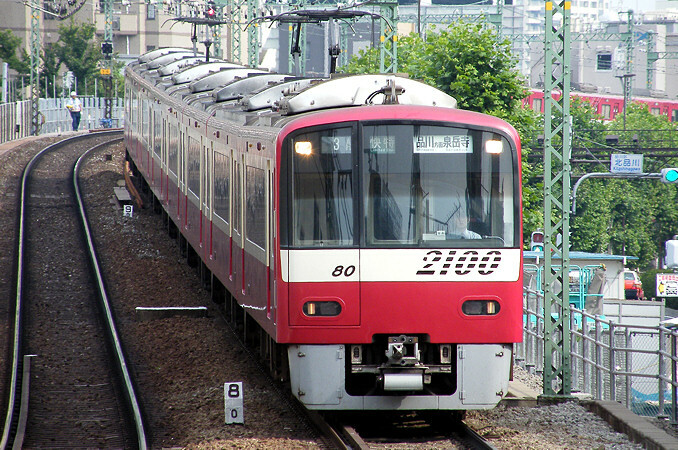 The 2100 Series is a two door limited express/regular train designed to replace the 2000 Series trains which were used as limited expresses on Keikyu Lines. 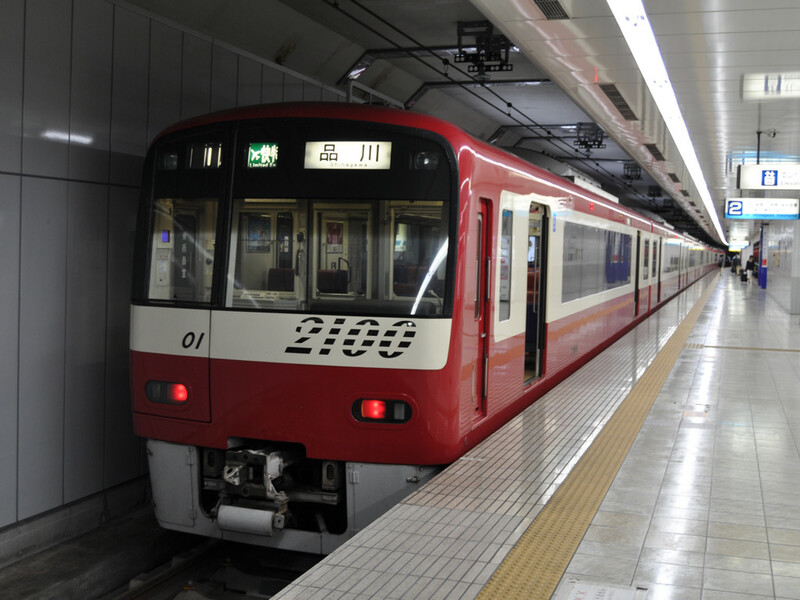 The 2100 Series trains have two doors on each side and are equipped entirely with crosswise seating. Combined with its high top speed, it is some times classified as a full-scale limited express train like those found on JR lines. However, Keikyu does not charge extra to ride these trains. The variable frequency drives used on these trains were built by the German company Siemens. This equipment causes the train to give off a distinct, almost musical sound when they accelerate, earning them the nick name "singing trains." Some of these trains though have had their Siemens equipment replaced with Toyo Denki equipment. These updated trains no longer produce the same sound that the 2100 Series was known for. The 2100 in 2100 Series came from the company's wish for the train to become a train that would "run towards the 21st century."